In a previous post, I described a process I used to move some WordPress websites I had as Add-On domains, from one hosting server to another. In this post however, I'm going to show you a method of how to transfer a website to a new host using a WordPress plugin, rather than the manual method described in the previous post. The process I'm going to describe here, is a quick and easy one, particularly suitable for migrating WordPress websites that are installed on the primary domain of your hosting account. There is a caveat here though: I have only tried this method with a fairly simple blog and only with the free version of the plugins described below. When attempting a project of this nature, it's always wise to do a bit your own research to ensure that any plugin you choose will perform the task(s) that you want and to the standard that is acceptable to you. After spending quite some time reading reviews forum posts on the subject, the plugin I finally chose to perform my website migration was All in One WP Migration, which seemed to have highest number of reviews, most of which were very favourable, as well as a good number of installations. It was clearly a popular tool for the task and seemed to be reliable. The first step in the migration process, is to install the plugin on the WordPress site that you will be moving, and it is also wise at this stage to ensure you remove any plugins that you may have installed that you no longer use (although really this should have been done as part of your normal website maintenance). Select the Plugins section from the list of options on the left-hand-side of the dashboard. Click on Add New, and search for the migration plugin. Locate the required plugin from the search results window and click on the Install Now button. You now have the plugin installed on your website. As mentioned earlier, all three of the plugins listed here, perform the same basic functions and as part of the migration process you will need to export a backup of your existing WordPress site. Having created the backup of your website, yo u now need to create a new dummy WordPress site on your new webhost. 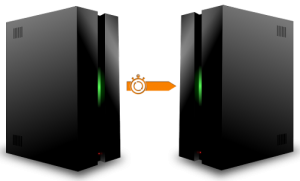 How you do this, will depend upon which hosting company you're using, but typically it will be via a cPanel environment. 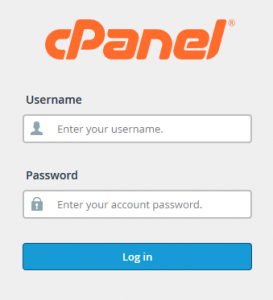 (see this article for installing a new WordPress site using cPanel). Once you have your new WordPress site created, you will need to install the same migration plugin on this new site as you did on the site you're migrating (see the above process for installing plugins). You will now need to Import (or install – depending on which plugin you're using) the website backup that you created earlier. Note: If you have decided to use the Duplicator plugin, the migration process requires you to upload an installer file to your new webhost, rather than creating a dummy WordPress site (see the “How To” video link below). You should now have an exact duplicate and fully functional WordPress site installed on you new hosting server. All that remains is that you update your domain's DNS nameservers to point to the new hosting server. And that is it! I hope you have found this article on how to transfer a website to a new host, useful. Please feel free to leave me a comment below and I look forward to providing you with more articles like this.